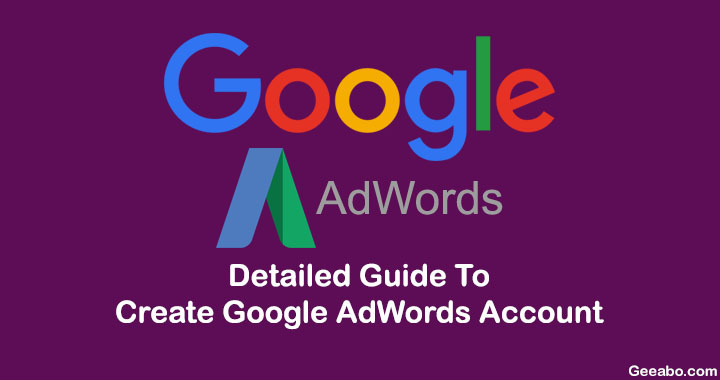 Detailed Guide To Create Google AdWords Account. I have seen a lot of people who want to create Google AdWords accounts for keyword researching but they can not. And in the process of creating an AdWords account, they visit to the AdWords Ads Campaigns page. So, here I have a detailed and easy guide for you to create Google AdWords account. Simply follow the few steps. #Step 1. Go to the Google AdWords Website and Login with your Gmail account. If you do not have your Gmail account then Click Here to create. #Step 2. After sign in with your Gmail account to the Google AdWords it will open a new window like this. Now simply click on “skip the guided setup” link. Most of the people making mistake on this step so you do not have to do any mistake here, and don’t click on Continue button. #Step 3. Now just simply click on the “Save and Continue” button. Now the Steps is Completely done. And you will come to the Welcome to AdWords window. Now you have successfully created your AdWords account for keyword planing. Creating an account on Google AdWords is very easy and simple thing, but most people are getting annoyed, so I am writing this article for specially give you a proper guide to create your own AdWords account. Some Important WordPress Plugins that Every Blogger Uses. How To Logout Facebook From All Devices At Once. Change Gmail Background Using Best Gmail Themes.